Get ready to find pure relaxation and feel revived and refreshed. 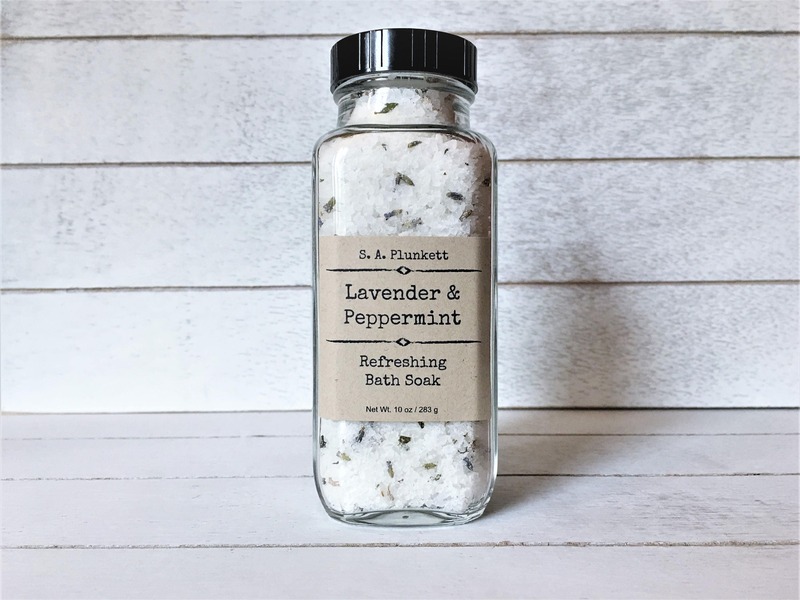 This Lavender and Peppermint Refreshing Bath soak is a blend of mineral rich sea salts and Epsom salt. 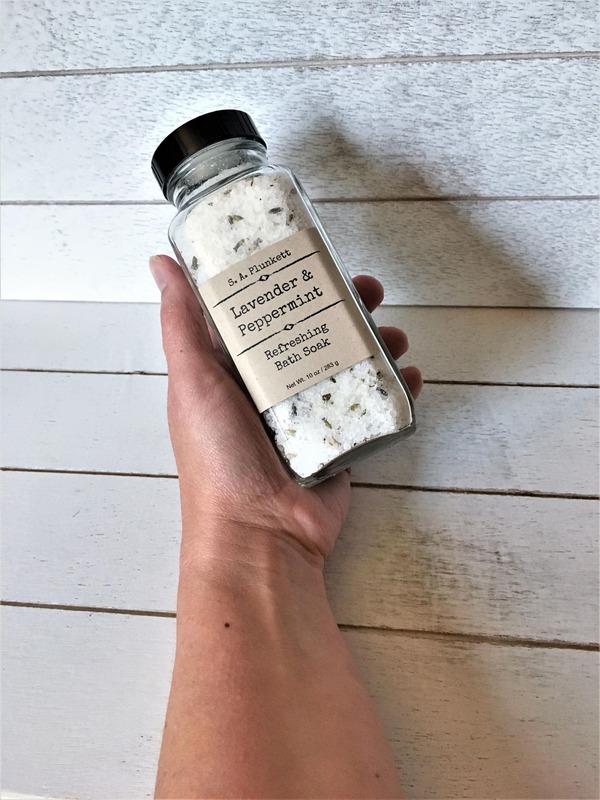 Blended with other natural, skin softening ingredients and pure essential oils and organic botanicals, this mineral bath soak will help create a soothing and refreshing bath experience. 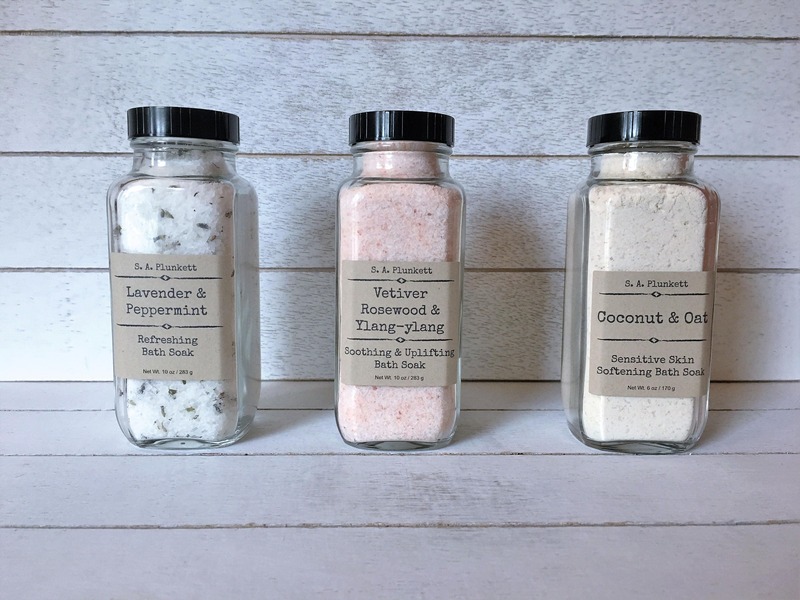 It also works great as a refreshing foot soak to help revive tired feet. 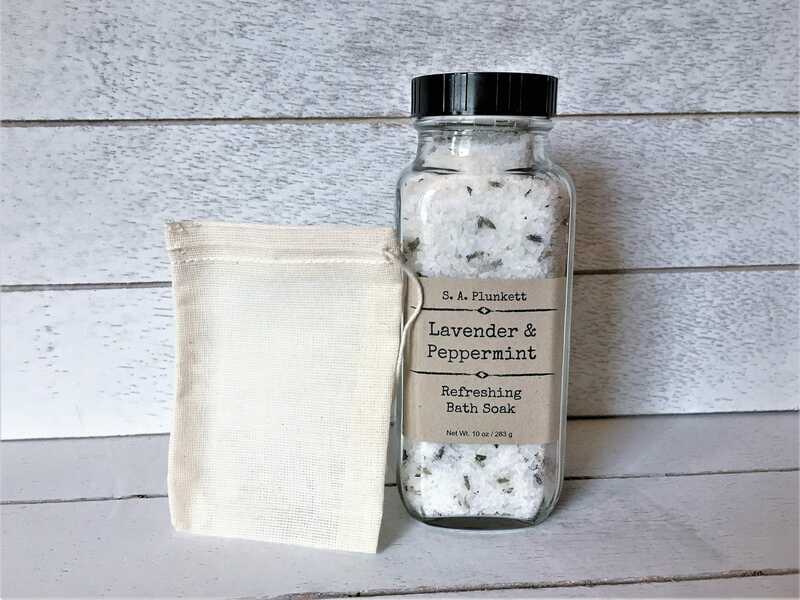 A small muslin bag is included, for those who don’t like to clean herbs out of the bathtub! -Contains no artificial fragrance, colors, or preservatives. Directions for Use: Sprinkle a handful or two under warm, running water and allow to dissolve. Alternatively, add to muslin bag and hang under warm running bath water. 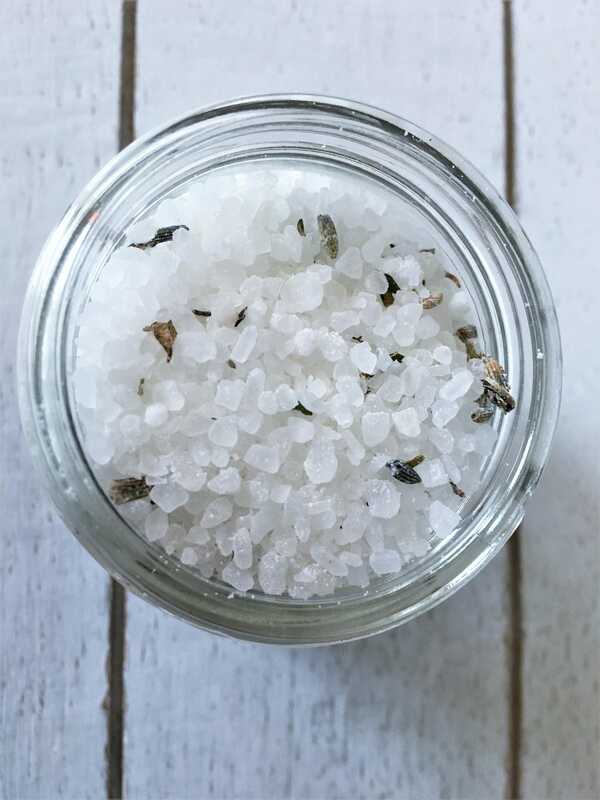 Avoid allowing water to enter the jar, as this can lead to spoilage. 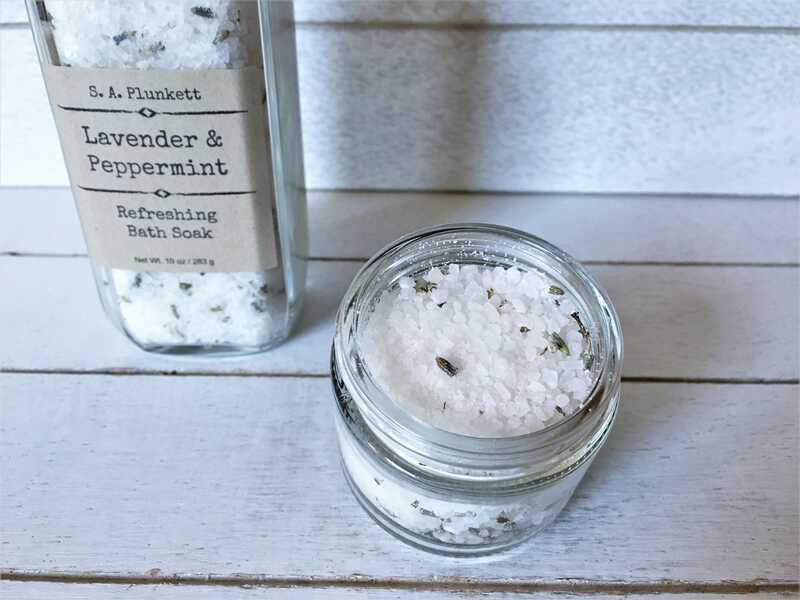 Caution: the oils in the bath soak may cause the tub or shower to become slippery.